Who doesn’t love a good bargain? 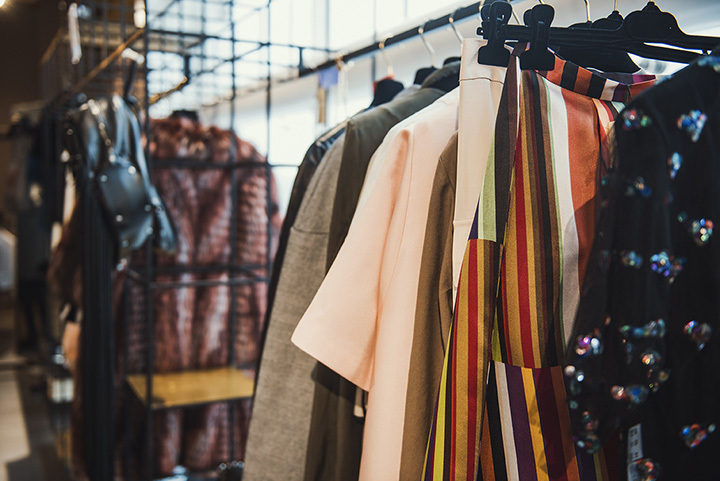 Thrift stores are great places to find clean gently-used clothing for your entire family, and occasionally that special treasure or hard-to-find item that you can’t live without. And you can find it all at a fair price. Kentucky has a number of excellent places that offer gently-used items for great deals, and below are 10 of the best around the state. If you like saving money on everyday items you need around your house, you need to hop on down to Fat Rabbit Thrift and Vintage in Louisville. Since opening for business in 2013, Fat Rabbit has been the go-to place those hard-to-find vintage items and curiosities that you can’t live without having. Clean, well-organized, and friendly people make this a great experience every day except Monday. Downtown Frankfort, Kentucky is where you can find vintage clothing and accessories for your wardrobe, gently used furniture for your home, electronics that make your life easier, and surprise finds that just make you smile. You’ll love shopping here and the fact that you’re helping to support the local Humane Society is an added incentive to spending your money there. Open Tuesday through Saturday. Looking for the perfect wedding gown but don’t want to spend a fortune? Meant to Be Boutique, located in Lexington, might be a perfect fit. This charming consignment store handles an upscale and very diverse inventory of beautiful gowns and accessories for any special occasion. You don’t have to start your new life in debt or with a lot of anxiety because the friendly ladies here will walk you through a complete boutique experience from fit to finish. What do you get when you combine a flea market and a yard sale? You get NB Thrift Shop, a Lexington-based store where you can find treasures at a reasonable price. No matter what you’re looking to find, there’s a good chance you’ll find it here in the well-maintained, clean, and organized store. Open every day until 6PM. With a mission to serve the local community by offering a great selection of low-cost, clean, and gently used clothing, furniture, and more, this store takes community involvement to heart. They provide emergency disaster relief for individuals and families who have suffered loss through a natural disaster, fire, or flood, and all their proceeds are donated to back into the community through various outreach programs. They also accept clean and reusable items, but don’t take electronics or furniture. Don’t let the small size of this quaint and cozy little secondhand shop fool you. You’ll find big savings on quality clothing for your family, shoes, and accessories, and a beautiful showcase of vintage jewelry. They also carry seasonal household items and holiday decorations, a limited selection of clean stuffed animals and dolls, and discounted greeting cards. Open Wednesday through Saturday. It’s amazing how much value can be packed into a small space, but that’s exactly what you’ll find at Outreach Thrift Shop in Shepherdsville, Kentucky. Great deals on secondhand clothing, including maternity and baby clothes. They have special sale days, and are an outlet for a local bakery, so come in and take advantage of the savings at this non-profit, faith-based store every day except Sunday and Wednesday. Created with a mission to help people with affordable housing and remodeling, Habitat for Humanity believes that having adequate housing is a basic need of everyone. They also believe that by helping people build a better home environment, a better community will be the result. This local and independently operated store has no membership fees or strings attached to the assistance they give, and offers merchandise including building materials, household appliances, and other items at rock bottom prices. They’ll even come pick up your donations if you have items you don’t need anymore. Open every day but Sunday and Monday. Vintage, repurposed, and new items mainly found at estate sales can be found at BEThrifty. Physically located in Somerset, Kentucky, they use a variety of outlets to pass along items of use and savings to anyone who wants to participate in an online auction, swap meet, through their website, eBay or Etsy, and other creative ways to pass along bargains. If you’re looking for something special for your home or yourself and you haven’t found it yet, check out the online catalog for treasures galore. Friends like to share good deals with each other, and that’s the mentality behind Between Friends Consignment in Paducah, Kentucky. It’s one of the area’s most popular secondhand shop, offering men’s, women’s, and children’s clothing, shoes, and other wearable items, plus books, luggage, electronics, decorations for your home, toys, furniture, and much more. Open since 2002, you can trust that you’ll find clean quality items. Open Tuesday through Saturday.